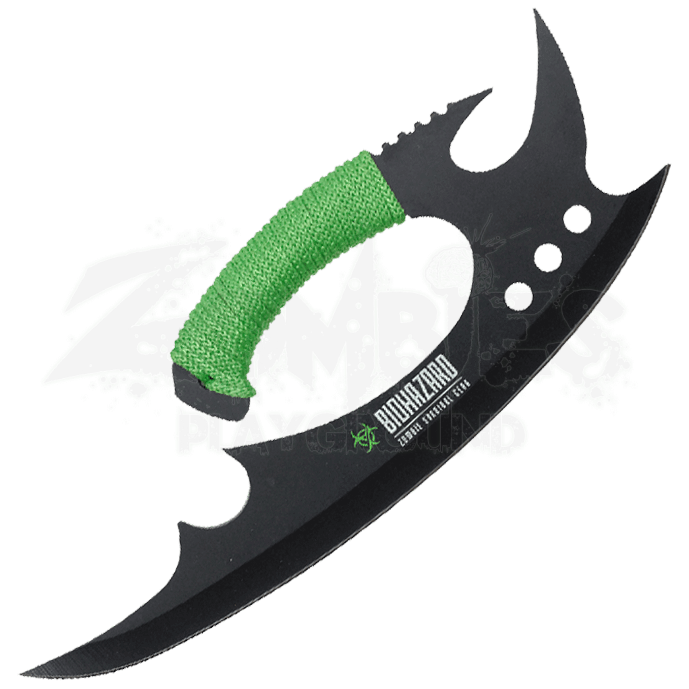 The fierce design of the Zombie Biohazard Hand Knife inspires fear in the living and the dead. Clear the way for your group by hacking through the horde or wield it during the many combat situations that arise in a dystopian world. Cutouts lighten the weight and create balance, while serrations, sharp points, and a wide cutting edge enhance its function. A full tang contributes to its durability and power. The neon green paracord wrap assists in maintaining a firm grip. This tactical blade comes with a black nylon sheath for easy storage.